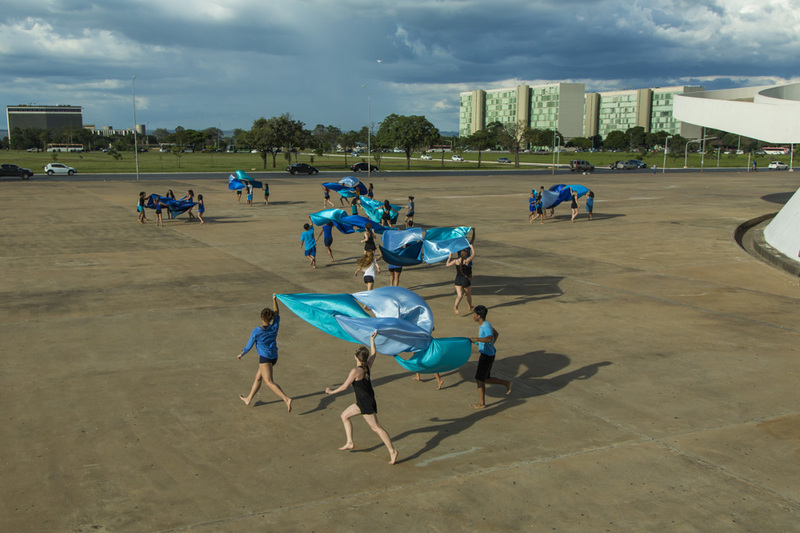 Performance for the skies. 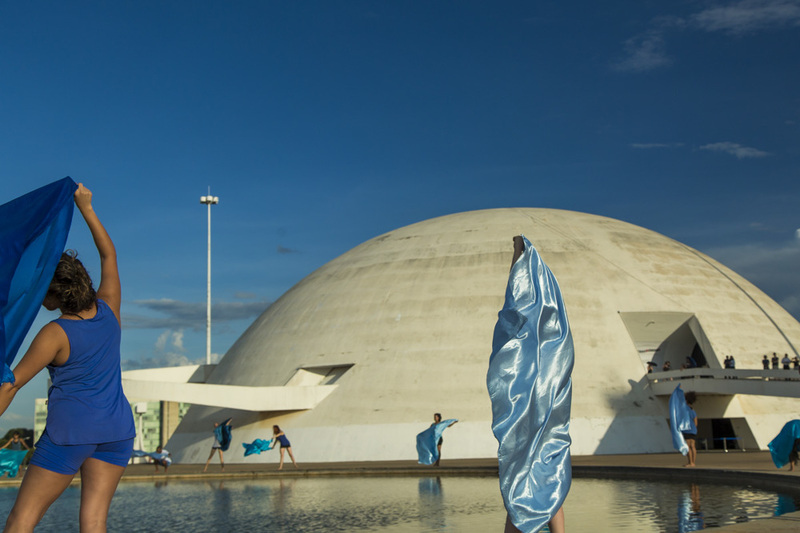 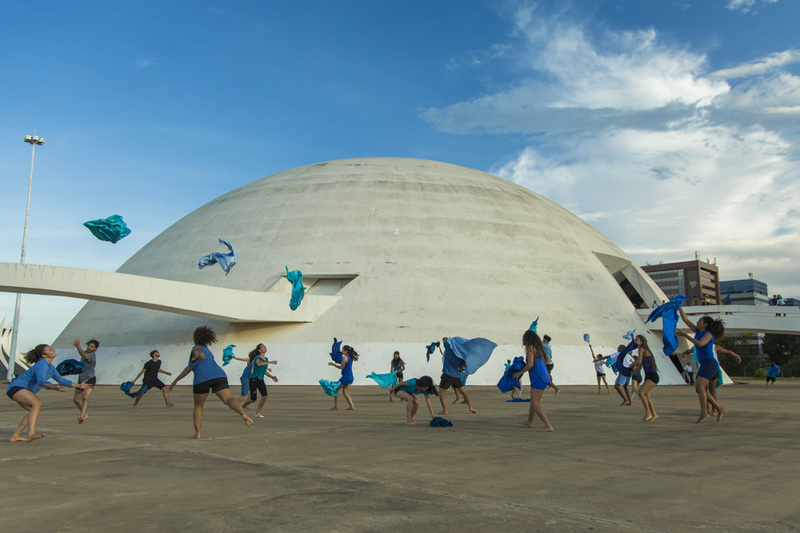 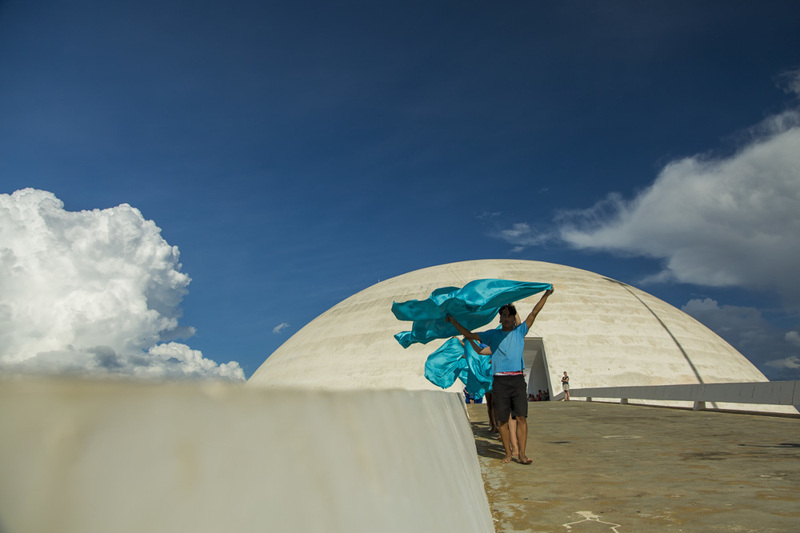 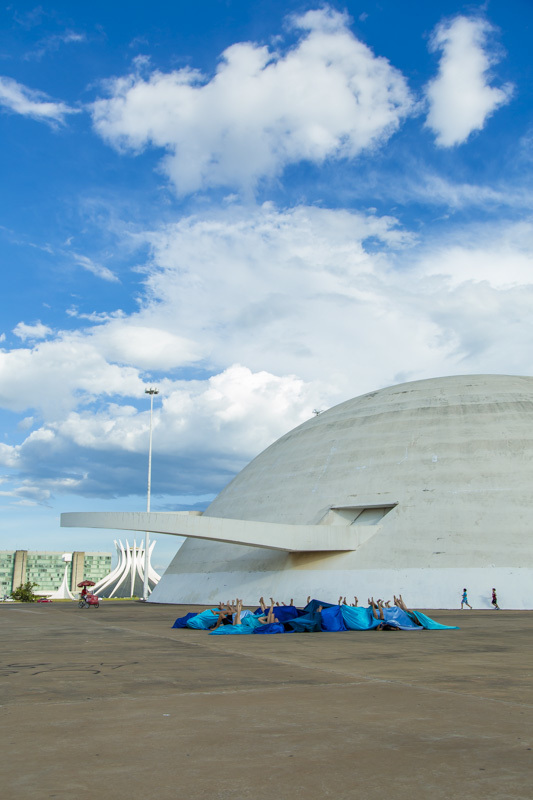 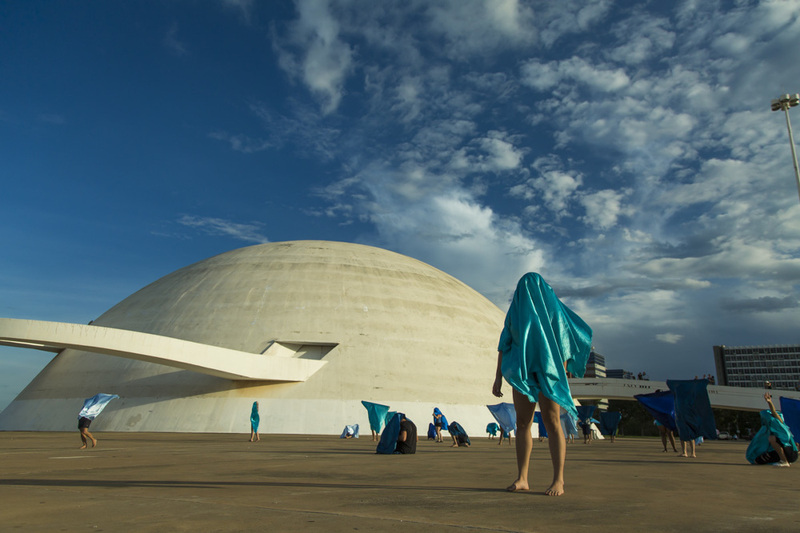 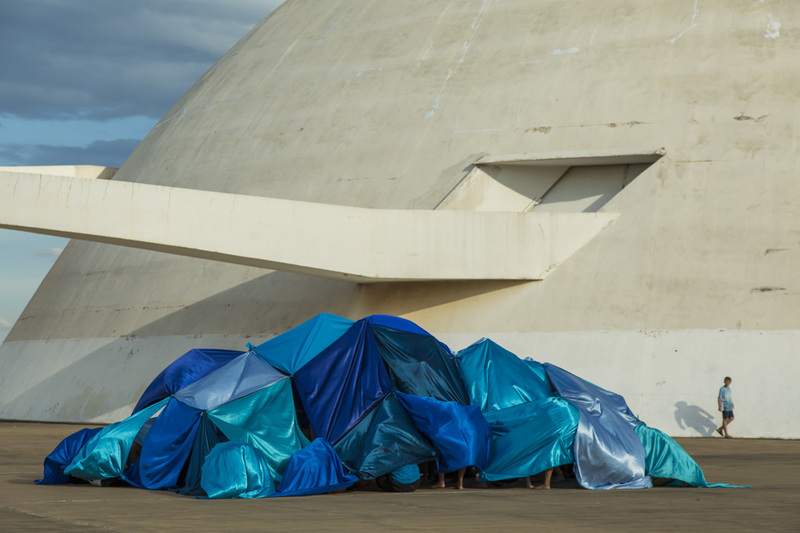 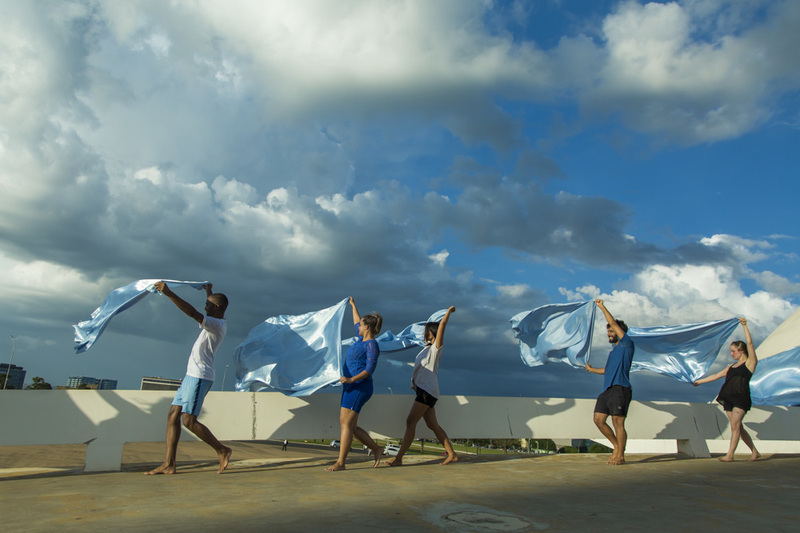 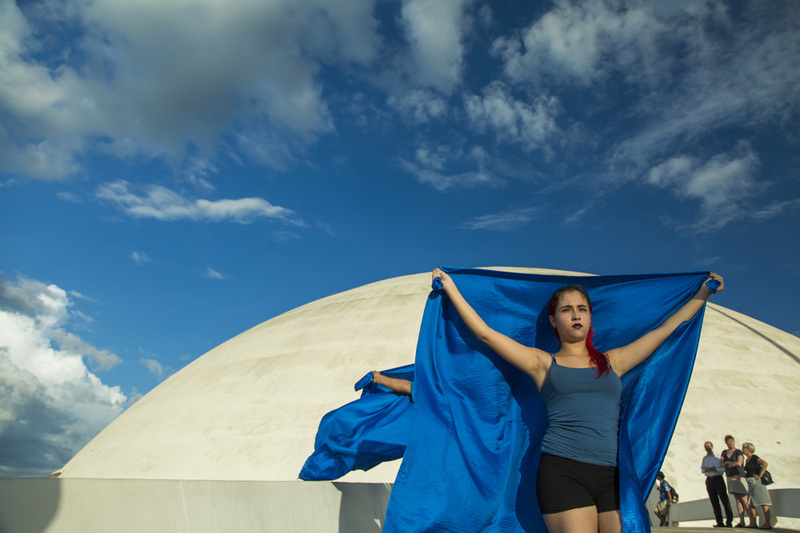 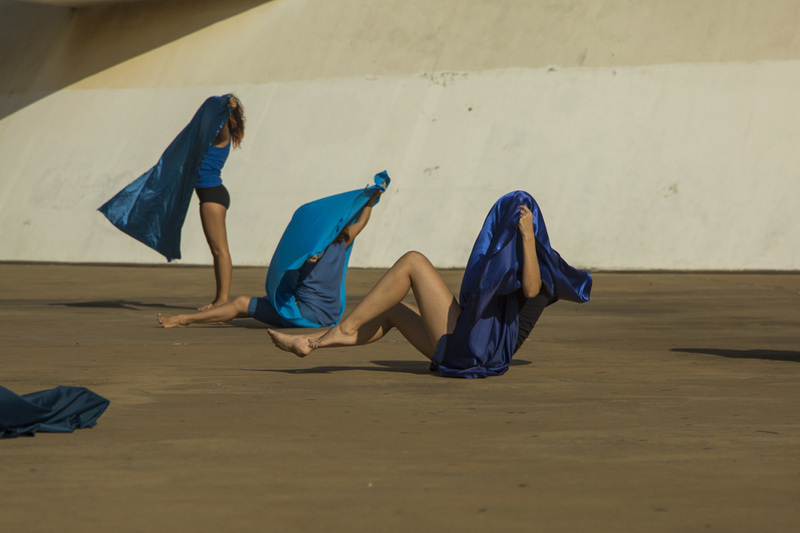 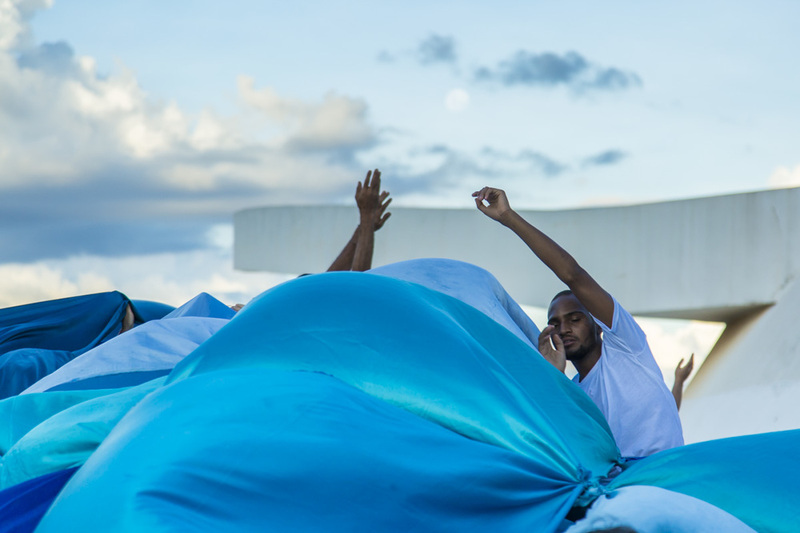 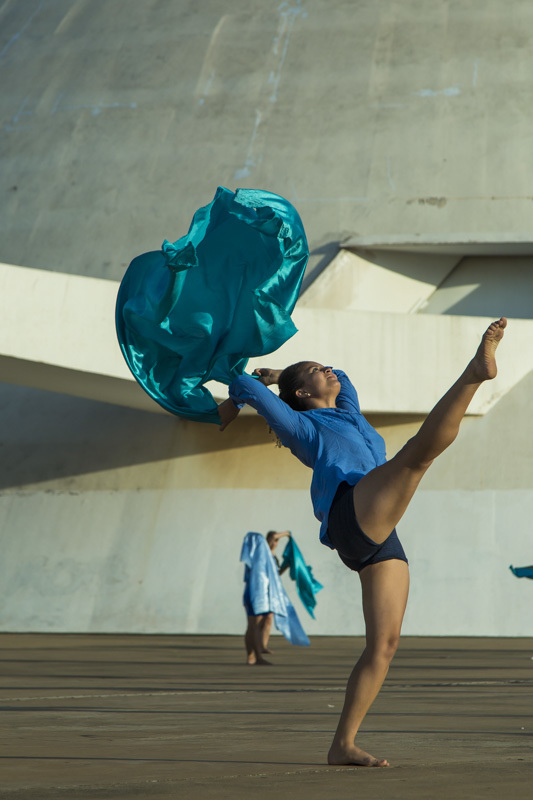 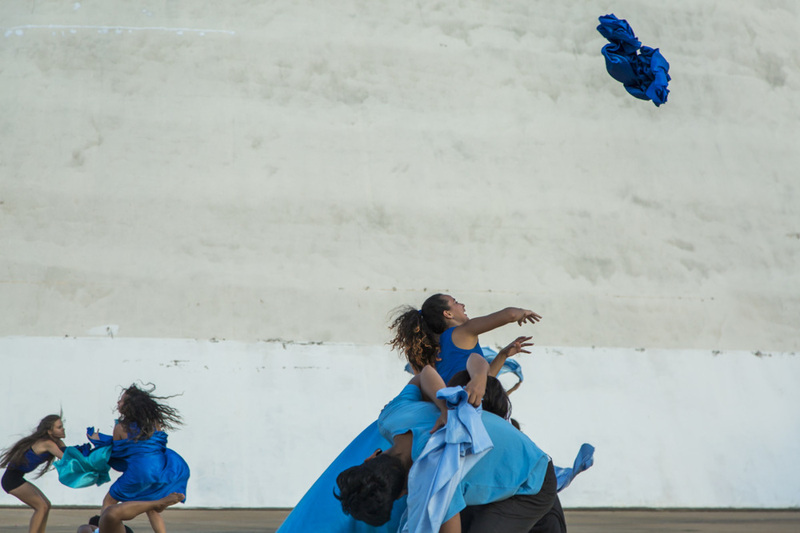 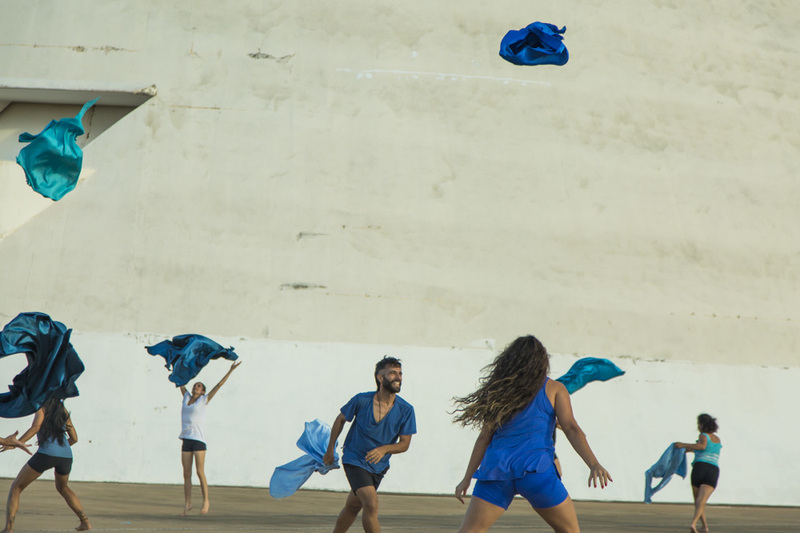 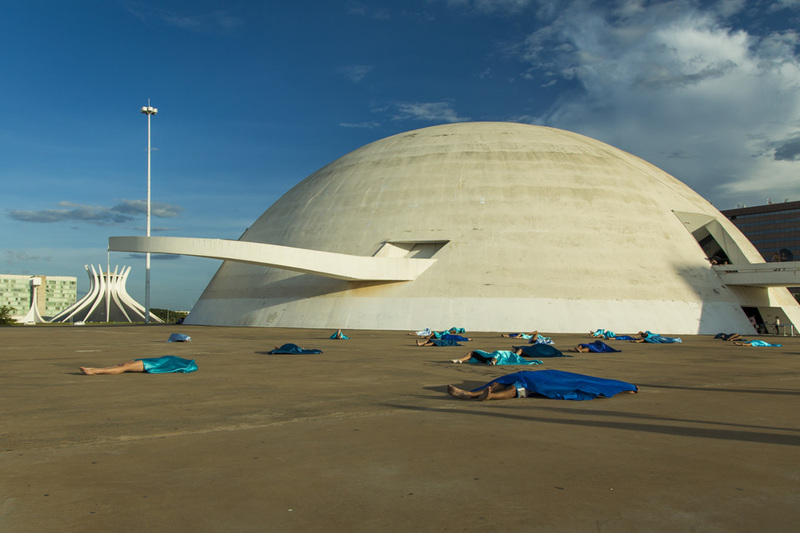 The various nuances of blue fabrics refer to the colours of the skies of Brasilia. 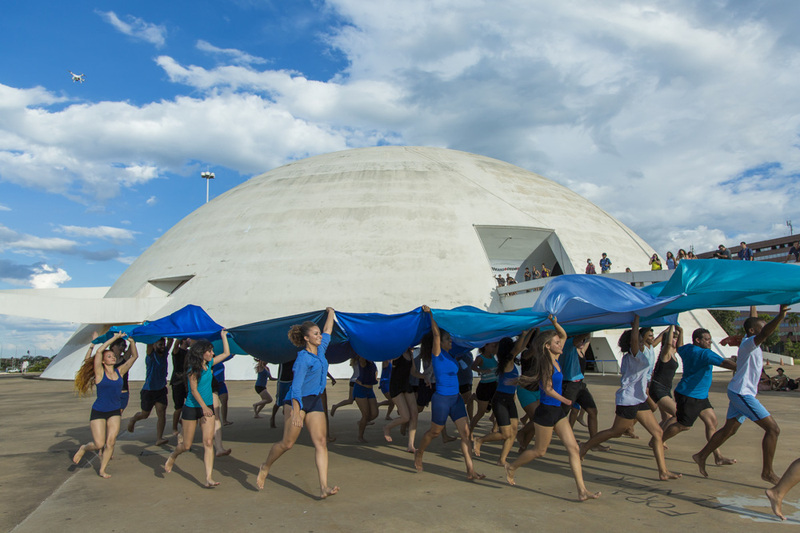 Performance with 40 dance students from IFB, Instituto Federal de Brasilia and Uib, University of Bergen, faculty of Art.